Another winter crisis now seems inevitable and the 4-hour A&E target has already been scrapped by former health secretary Jeremy Hunt. The latest desperate (and yes madcap) idea from this government in place of proper funding and staffing, is an appointments system for attending A&E. This idea has been debated before. Last October Jeremy Hunt floated a “talk before you walk” system in A&E barring patients from walking in. KONP submitted Freedom of Information requests to NHS England asking for details of plans and NHSE quickly denied they had any such plans. Thankfully this half-baked plan was quickly quashed. It’s called ‘Accident and Emergency’ for a reason. As well as seeming ill thought through and on the face of it quite ridiculous, there are many questions raised over its potential implementation. How would the increased capacity be managed? Patients would presumably be required to phone in and be triaged on the telephone which raises the obvious question of who would manage the extra calls and how certain a call handler could be of any underlying issues without a face to face consultation. It should be obvious that potentially waiting hours on a telephone is not the safest way to manage a patient in an emergency. There are many serious questions to be answered, and that is before one even stops to consider the potential ethics of this proposal. Nevertheless, Professor Keith Willett, NHS England’s Medical Director for Acute Care, is apparently rather keen on switching to an appointments system. Its true the switch may improve figures, but it will it aid patient care? These proposed measures undermine the whole idea of ‘Accident and Emergency’. We already have an appointments system for non-emergency cases, it’s called general practice. This is also another example of where the commitment to parity of esteem could really suffer. Patients with mental ill health often find it difficult to access appointments as it is and suffer anxieties over asking for help. Potentially waiting hours on a phone puts a significant extra barrier between them and appropriate medical care – with dangerous consequences. In January 2017 Jeremy Hunt announced in parliament the scrapping of the 4-hour target for A&E departments saying it would only apply “in urgent cases.” Hunt asserted that only 4 other countries (New Zealand, Sweden, Australia and Canada) have similar national standards, but he took the wrong approach. Instead of highlighting these countries as few and joining the majority who do not adhere, he should have been proud that Britain is one of few countries arguably leading the way. Instead of joining the rest of the world in a race to the bottom this government should have been looking to actively maintain and improve upon the legislation that was established back in 2000. Since 2000 there are nearly 9 million more visits to ED, and instead of increasing funding levels to counteract the shift, this government has elected to downgrade provision. Instead of pre-emptively compensating for this very much expected demographic change, they have neglected and ignored until depleted finances now dictate a reduced quality of emergency care.Waiting times in emergency departments have increased significantly over recent years. The targets have not been met at a national level since 2013-14. Arguably Hunt’s announcement had more to do with trying to save face than it had about patient care. Why have targets been missed? There are technically many reasons why targets have been missed but all are rather obvious, and all can unsurprisingly be traced back to government neglect. There are 5000 GP vacancies, too few hospital acute and mental health beds, too few A&E staff, departments are too small and there are delayed transfers of care for those requiring social care input. The solution is not a complicated one. Essentially adequate funding across health and social care would mean targets could quite easily be met. Not only have targets not been met under the last two governments, but they have also risen dramatically. It is now sadly normalised for patients to spend significant periods of time sat on trolleys awaiting triage or treatment in hospital corridors and many trusts are regularly advertising for ‘corridor nurses. This government have not only scrapped targets and increased waiting times, but in doing so have robbed many patients of their dignity too. Emergency department targets may be the most dramatic but they certainly aren’t the only targets which have suffered as a result of government mismanagement. The surgical waiting list currently stands at over 4.3 million in June – the largest in its history. Hospital bosses are now seeking to have the 18-week target after GP referral for non-urgent surgery watered down. Last December , the Department of Health & Social Care and NHS England notoriously ordered trusts to cancel the whole month of January’s elective surgery (both urgent and non-urgent) in a desperate bid to avert a full-blown winter crisis. The government called it “forward planning”. In a statement of perfectly executed propaganda they attempted to cover up for a crisis of their own making. Interestingly when junior doctors went on strike in 2016 over patient safety causing operations to be postponed their actions were not afforded the same spin. Private companies are no doubt enjoying the effects of decreased capacity in the NHS. Knee and hip operations are amongst the most common on waiting lists, and also amongst the most profitable. This state of affairs is not accidental. The private sector remains poised to sweep up where the NHS fails to provide – a largely inevitable consequence of purposefully depleting a publicly owned and provided system. Waiting lists and waiting times have risen dramatically, obtaining a GP appointment is increasingly difficult, and the government is now proposing to make even emergency treatments far harder to access through potentially enforcing an appointments system. It’s perhaps only a matter of time before those with the financial means choose private insurance and leave the NHS to continue as a two-tier service catering for those with no other choice. 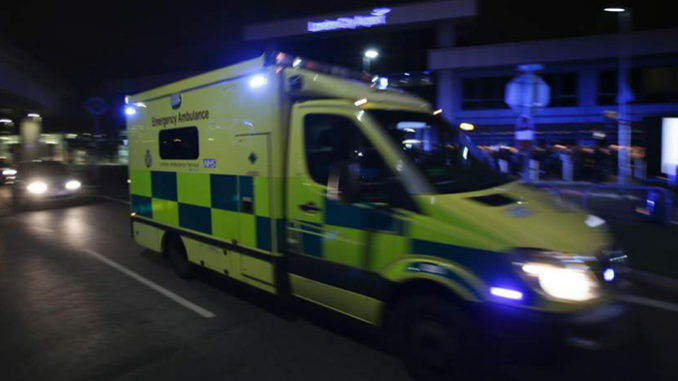 NHS England refuse to adequately fund emergency care causing hospitals to fall deeper into debt, and it is an unattractive, unprofitable area for private providers. This begs the real question of how emergency care will be delivered and accessed going forward if sufficient extra resources are not allocated. The future is uncertain and regardless of our capacity to pay, should very much concern us all. This winter Keep Our NHS Public and Health Campaigns Together will be launching a campaign to demand proper funding from the government to ensure the safety of patients and staff which should be everyone’s top priority. Hi Michael, many thanks for taking the time to reply and for helping to spread our collective message, please do keep in touch.